marketing students organised the charity appeal. 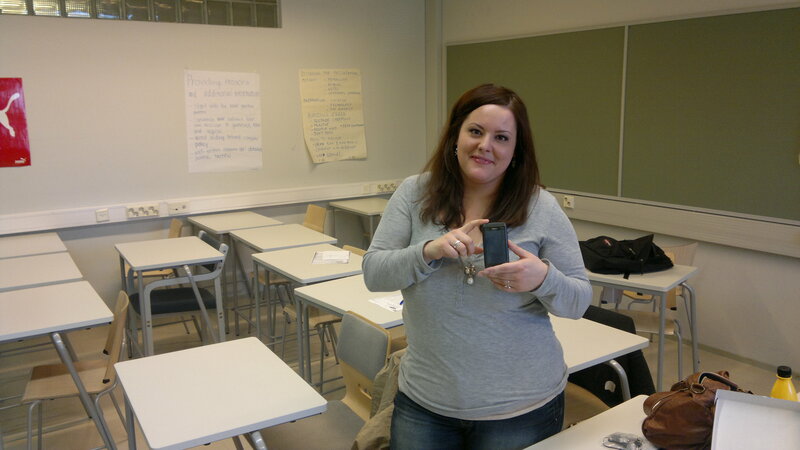 The winner of the Nokia N8 (kindly donated by Nokia) was Eva Tischer a German exchange student. The Christmas appeal was in Co-operation with JouluPuu with 67 toys/gifts received from teachers, staff and students. A digital marketing student group organised the toy/gift collection and sales of chocolate santas and other items with the money raised used for purchasing more toys. 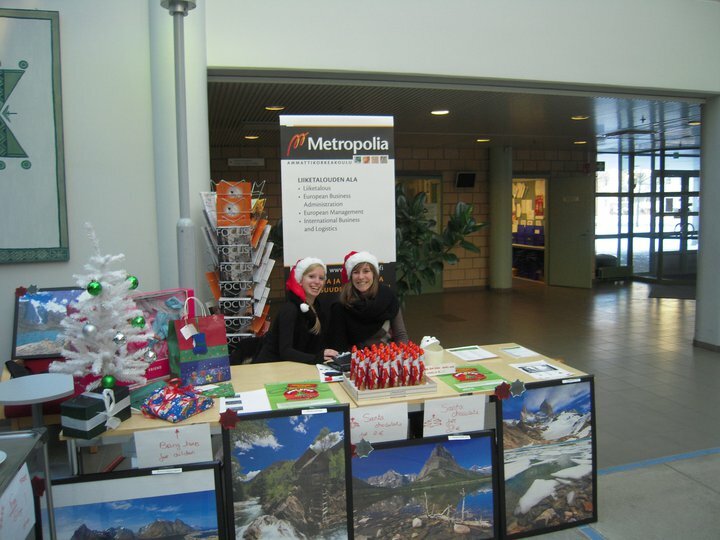 Metropolia Business School Director Helena Kuusisto Ek put forward the idea of donating gifts from the whole business school to Joulupuu and therefore 50 toys and gifts were raised. In total 117 gifts/toys were raised. 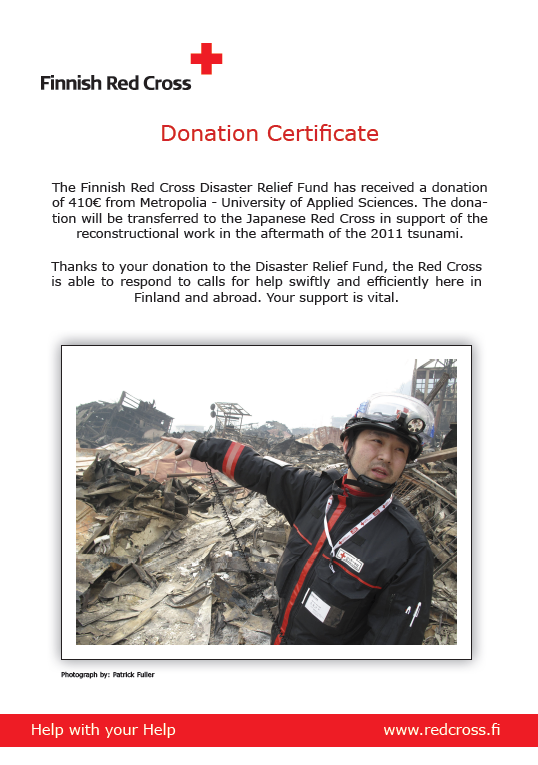 In September Metropolia Charity took part in the Red Cross Nälkä Paivat (hunger days) and raised €160 from bread sales and an estimated €1,500 to €2,000 in collection money. A group of volunteers collected money outside Myyrmäki shopping centre and in school. 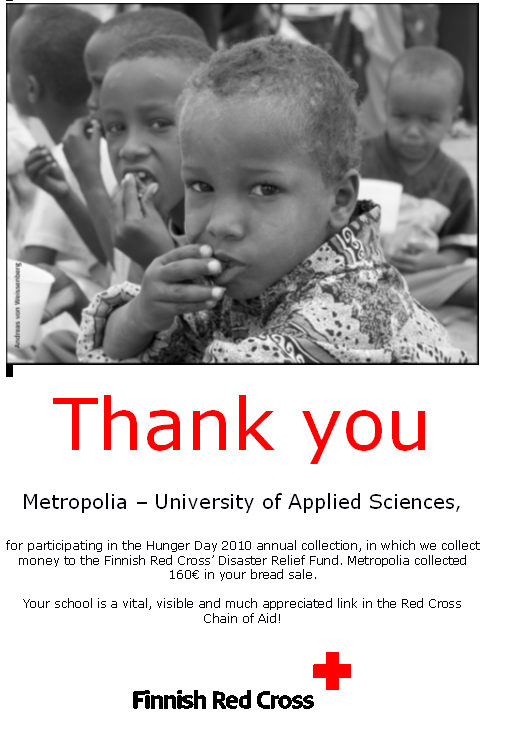 We would like to thank all students, teachers and staff of Metropolia University of Applied Sciences for the support to the charity and hope that we can rely on your continuing support.